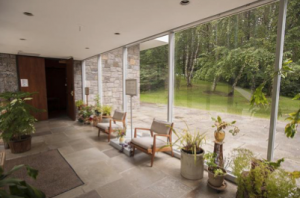 This summer, Colgate’s first geothermal heat exchange system was installed at the Chapel House, helping the university to reduce dependence on fossil fuels and achieve carbon neutrality by 2019. 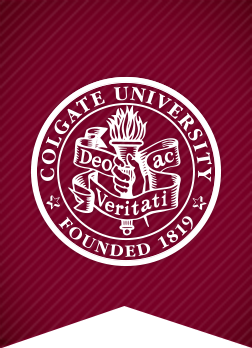 “The system is expected to save over $20,000 per year in energy costs and reduce Colgate’s greenhouse gas emissions by about 50 tons,” stated Director of Sustainability, John Pumilio. The pump acts as a central heating and cooling system that uses electricity to transfer heat to and from the ground. This system takes advantage of the moderate temperatures beneath the earth’s surface, using the earth as a heat source in the winter and as a heat sink when temperatures are high. “By switching to an electrically based heating system, there are no longer fossil fuels burned on the site… The primary source of electricity used at Colgate is generated by hydroelectric power, thereby reducing the carbon impact of the system further,” explained architect on the project, Tom Hartman. The $150K project will pay for itself in just seven years and is anticipated to save the university more than $650K over the course of its lifetime, resulting in over a 300% return on investment. The geothermal system was not the only environmentally friendly addition made to the Chapel House this summer. The building’s ventilation was redone to ensure no heat was being wasted, a new roof was installed and sealed for maximum efficiency, additional insulation was added, and LED light bulbs replaced old lighting throughout the facility. All of these changes have worked together to reduce energy consumption by 50%. “Project manager, Robert Dwyer, and Colgate’s entire Planning, Design, and Construction team deserve a lot of credit for making this historic, renewable energy project a reality at Colgate,” Pumilio stated. The additions made to the Chapel House this summer are a great step toward achieving our university-wide goal of being carbon neutral by 2019.
Colgate is doing an Excellent job! Congrats.